A classic 1980’s Casio CZ synthesiser brought to the modern world. The CZ-Alpha is not only an excellent library for a beginner to start their synth sample collection it is also a totally bodacious choice for the discerning connoisseur to retrofit their template. Whether you’re a devotee of the original Casio CZ phase distortion synthesizer line or you’re just looking for an original sound to add character to your tunes, the CZ-Alpha is an awesome investment. The complete library contains a 100 patches, handmade on a genuine Casio CZ-101 and you won’t find them in any other collection. Each unique patch can be mangled, twisted, and modified using our custom built interface. Designed with a retro feel in mind we built the interface to resemble the classic hardware of the 80s while taking full advantage of all the modern possibilities that Kontakt provides. To make it easy to navigate through all the patches we’ve included handy key switches that will move you to the next or previous patch, you can also select a patch directly from the patch selector drop down menu, or even use a continuous controller to instantly jump to a specific patch. The interface allows you to easily manipulate each patch with a selection of effects, some of which ship with Kontakt while others are created through scripting. The effects offering includes portamento glide, octave double, LFO (with variable depth, rate and fade in time), reverb, chorus, filters, and of course an ADSR envelope. All of the effects can be bypassed when you’re not using them. 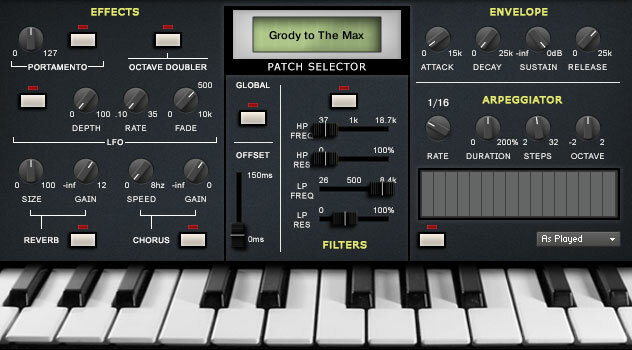 Once you have modified the patch to suit your taste you can run it through the built in arpeggiator to create interesting and inspiring rhythms and patterns just by holding down a few keys. The arpeggiator section gives you control over the number of sequence steps, the length and duration of each step, and the order in which the keys you hold down will be triggered. 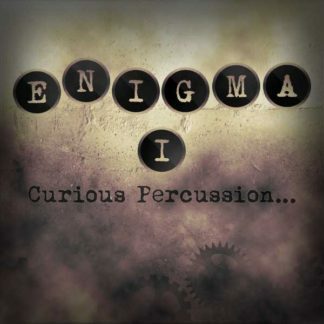 The main feature is the arpeggiation table that allows you to create rhythmic patterns quickly using just your mouse. 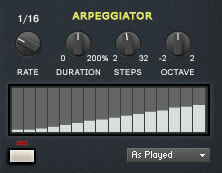 Just like the CZ-Alpha’s effects settings, any changes you make to the arpeggiator will be remembered by the current patch. The CZ-Alpha is available in several versions to suit everyone’s needs. You can select the version you’d like from the menu at the top of this page. Complete: The most totally excellent choice if you want the ultimate CZ-Alpha experience. This contains all four instruments (basses & leads, pads, keys, and FX) with over 100 patches and 5000 super quality samples. 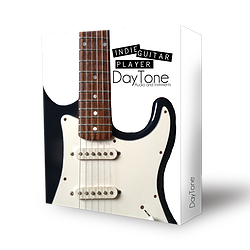 The best choice for the professional composer looking for a diverse palette of synth sounds in a straight forward no nonsense interface. Basses & Leads: Just the basses and leads, not quite as excellent as the complete option but still pretty rad! 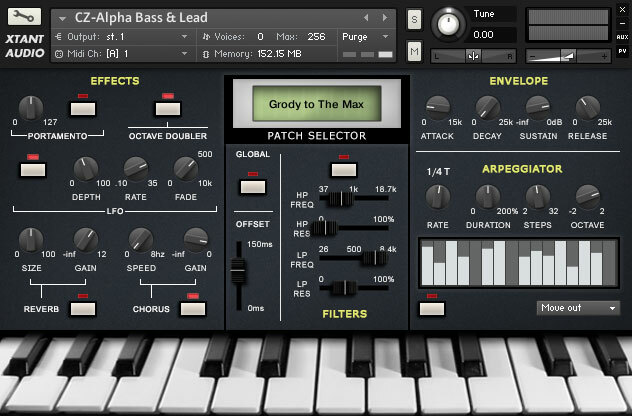 With this you’ll get 40 patches containing a mix of bass and lead samples in a single instrument. 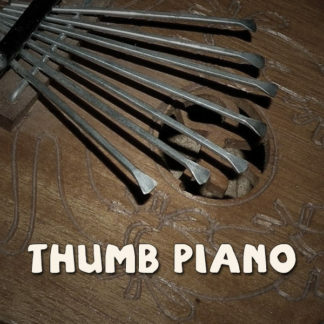 FX: A fine choice if you’re in need of weird sounds to add some retro spice to your tunes. 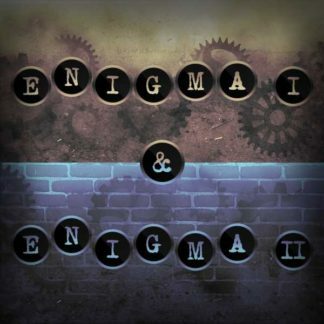 Eleven patches in a single Kontakt instrument, providing a range of musical synthy FX. 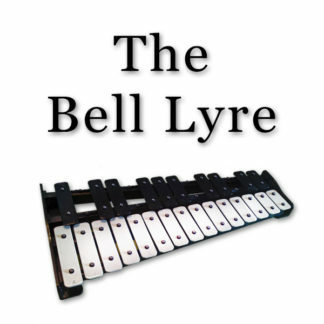 The sounds range from percussive hits to distorted bells. Keys: If you’re the kind of dude or dudette that likes your synth melodies but the basses and leads aren’t quite what you’re looking for then this option is the one for you. It contains 30 unique keyboard synth patches which are perfect for your next retro tune. Pads: Every tune needs a pad and this option provides 23 of them in a single instrument. The collection includes ethereal echoes, string simulations, and hollow winds. 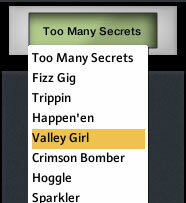 There is something to suit all genres. 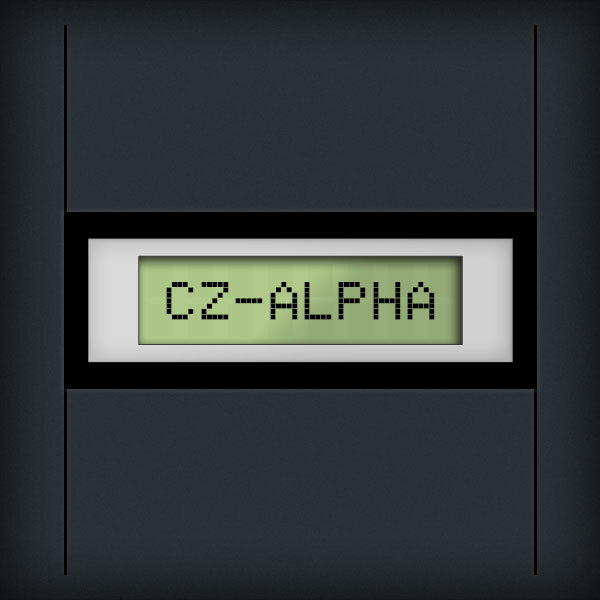 Click here to check out the user guide for the CZ-Alpha and find out more about this wonderful synth sample library.